Climate change is likely to be high on the agenda of Mexico’s Congress when it returns to session today, and the world will be watching as the 15th largest emitter of global greenhouse gas emissions considers what would be the country’s first comprehensive law to curb climate change. The “General Law on Climate Change” has already made successful inroads in Congress, having passed Mexico’s Senate with an overwhelming majority in early December. This spring, the Senate-approved version of the bill is anticipated to be considered in Mexico’s lower house, the Chamber of Deputies. favor the transition towards a competitive, sustainable economy with low carbon emissions, consequently generating environmental, social, and economic benefits. The bill is still subject to change in the Chamber of Deputies from the language approved in the Senate. However, the current version provides some ambitious, albeit not obligatory, goals for greenhouse gas emissions reductions, as well as promising paths to achieve these goals through promoting renewable energy, ratcheting down of fossil fuel subsidies, and reducing emissions from land-use change. The permanent establishment of a new high-level Inter-secretarial Commission on Climate Change. Creation of a climate fund to collect and channel resources for climate change activities to reduce greenhouse gas emissions (mitigation) and adapt to the changing climate (adaptation). Authority to establish an emissions market that can include international transactions between Mexico and any countries with which it makes emissions trading agreements. Requirements for mandatory emissions reporting and the creation of a public emissions registry that will cover emissions sources from power generation and use, transport, agriculture, stockbreeding, forestry and other land uses, solid waste, and industrial processes. Goals for states to reverse the trend of deforestation, increase electricity generation from clean sources to 35% by 2024, and reduce fossil fuel subsidies. While the Chamber of Deputies is able to make modifications to the bill, the threat of triggering delays for additional voting – especially now, as this Congressional session, scheduled to end this August, winds down – often incentivizes keeping the bill in its current form. Global attention on Mexico’s climate policy has faded from its 2010 peak when the country hosted the UN climate negotiations, but Mexico’s motivation to address climate change has not. Particularly over the last several years, the country has shown political willingness to address climate change, with a pledge to halve its emissions by 2050 from 2000 levels, and a number of sweeping climate change bills brought up in the Senate. Though the other climate bills never became law, the current bill’s overwhelming approval in the Senate by a broad coalition of sponsors (76-2 with 5 abstentions) shows a stronger momentum than we’ve seen. While the political composition of Mexico’s lower chamber may mean the bill will not have as broad support in the Chamber of Deputies as it had in the Senate, it may benefit from that momentum. Mexico’s passing this bill to enshrine domestic action on climate change into law guarantees the country’s efforts to curbing climate change can extend far beyond the current president. 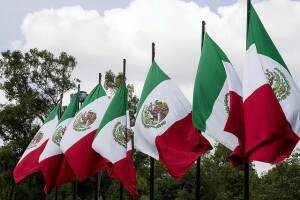 And, as the world’s 15th largest global emitter of greenhouse gases, Mexico’s domestic environmental leadership will also be particularly important as the world increasingly acknowledges that action from developed and developing countries alike will be necessary if we are to avoid the disastrous effects of global warming. *Clarification (Feb. 3): The third bullet point above has been revised to reflect a more accurate translation of the relevant provision. This entry was posted in Mexico, News. Bookmark the permalink. Trackbacks are closed, but you can post a comment.